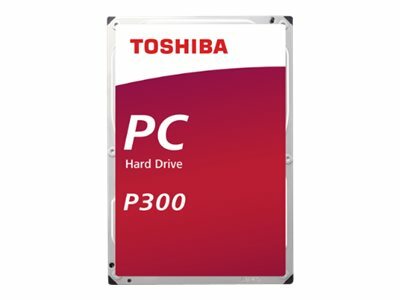 The Toshiba P300 Desktop PC Internal Hard Drive brings performance, capacity, and reliability together for everyday computing. The P300 is designed to help boost the storage performance of your home and office desktop computers and other applications where capacity, performance, and reliability are critical. The P300 delivers high performance operating at 7,200rpm and with a built-in cache. Drive reliability is built into every aspect of the P300, including built-in shock sensors that detect impact and reduce vibration during read and write operations, improving tracking accuracy and performance. Ramp loading technology helps reduce head wear and tear, further reducing data loss and damage risk. 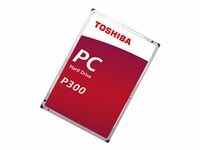 The Toshiba P300 Desktop PC Internal Hard Drive offers the storage capacity you need and the reliability you want. Designed for compatibility with nearly all desktop PCs, this reliable hard drive can help take your performance and productivity to a whole new level.